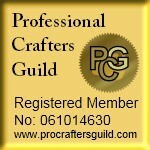 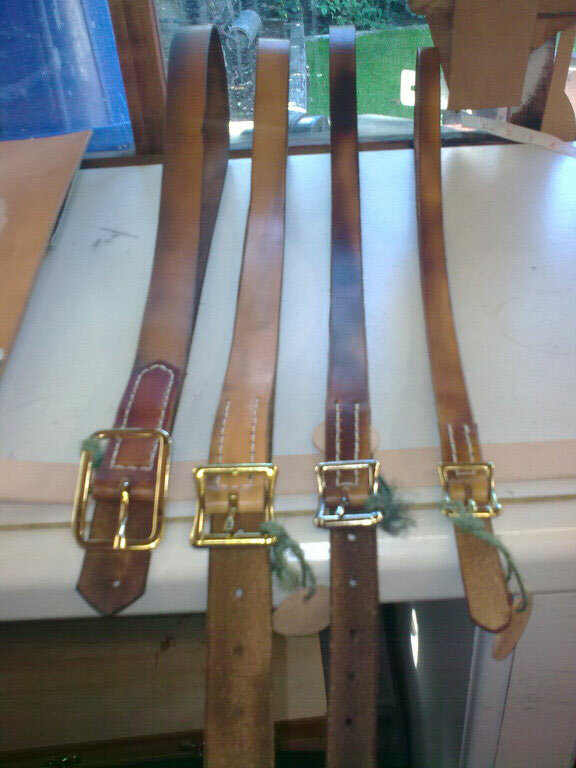 Remember all belts are hand made to your requirements - length, width, colour - or colours! 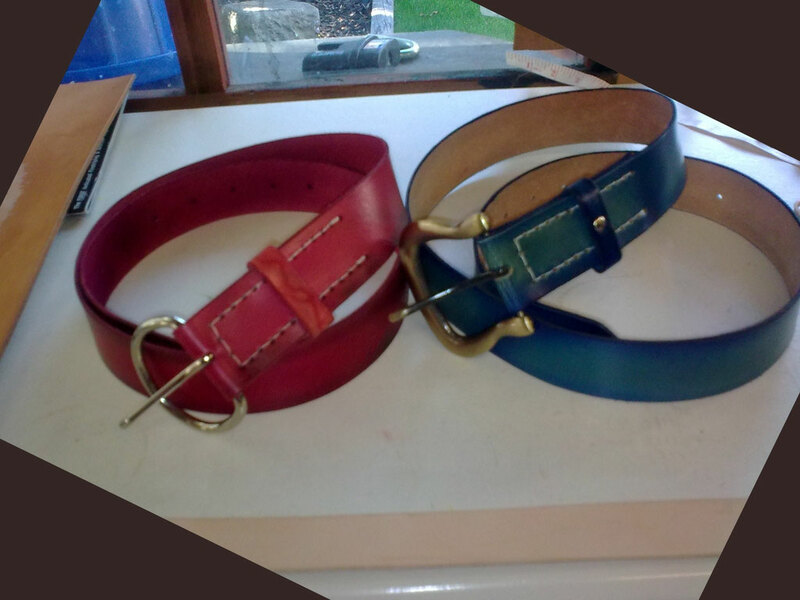 see the colour mix of the magic bracelets lower down the page - we were comissioned to make a plaited belt in the same mix of colours. 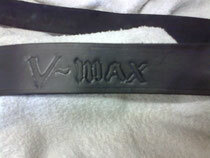 New style belts, all individually stamped therefore unique, Each mark is an individual stamp mark. 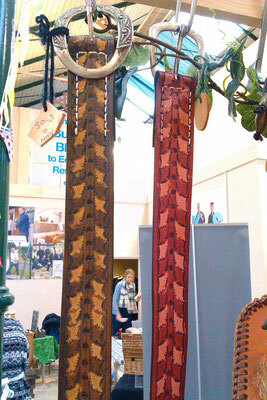 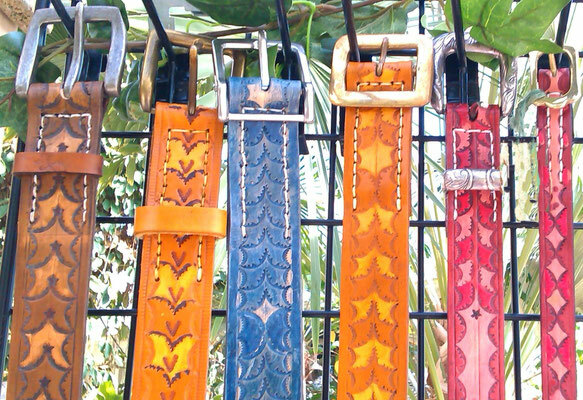 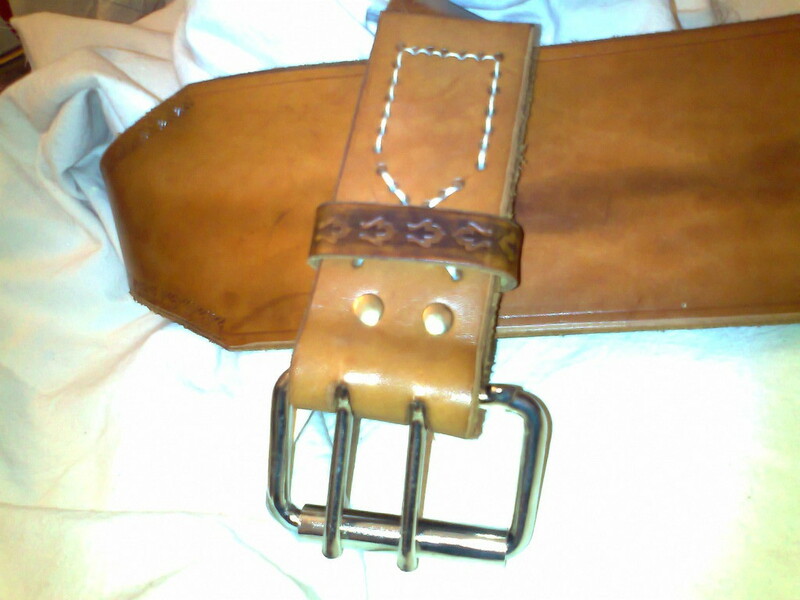 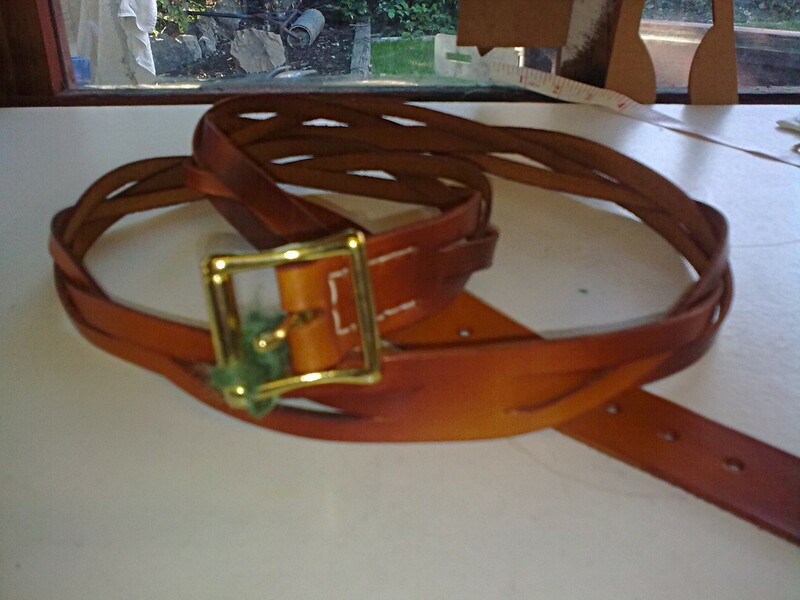 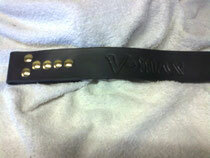 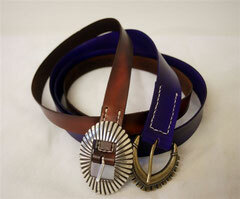 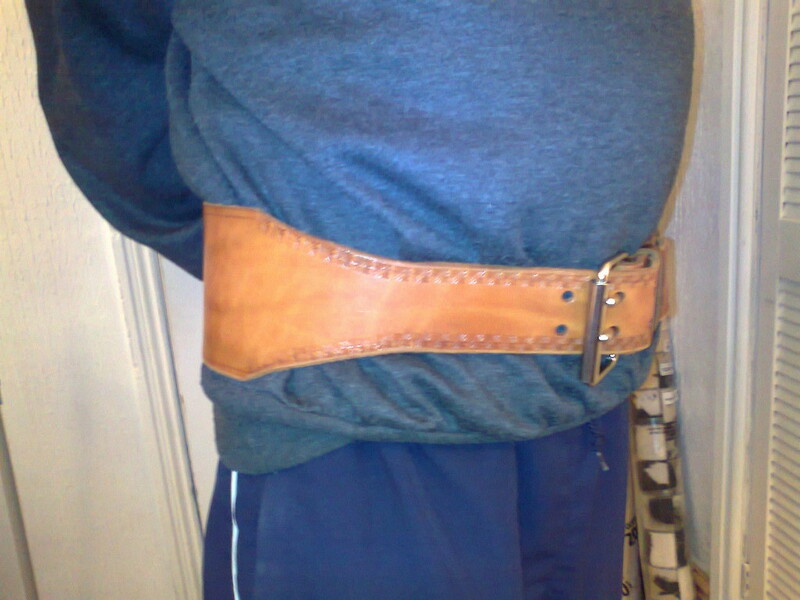 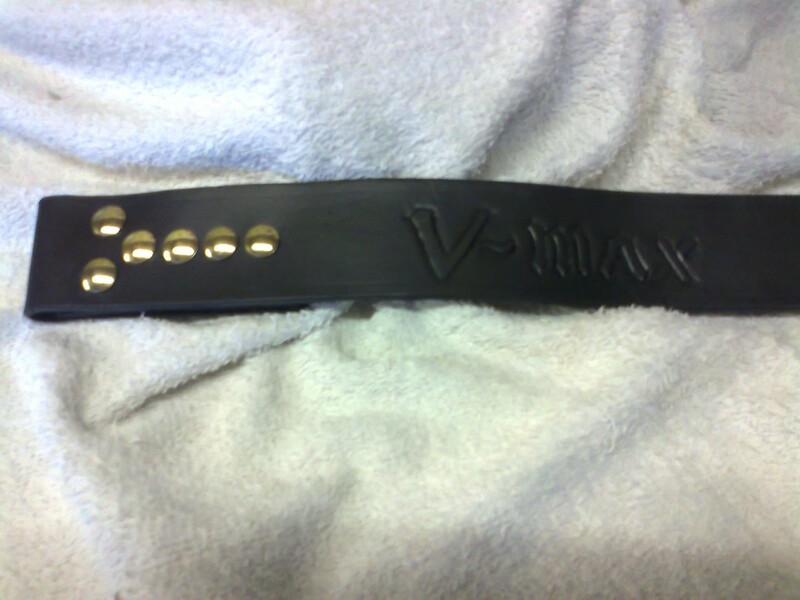 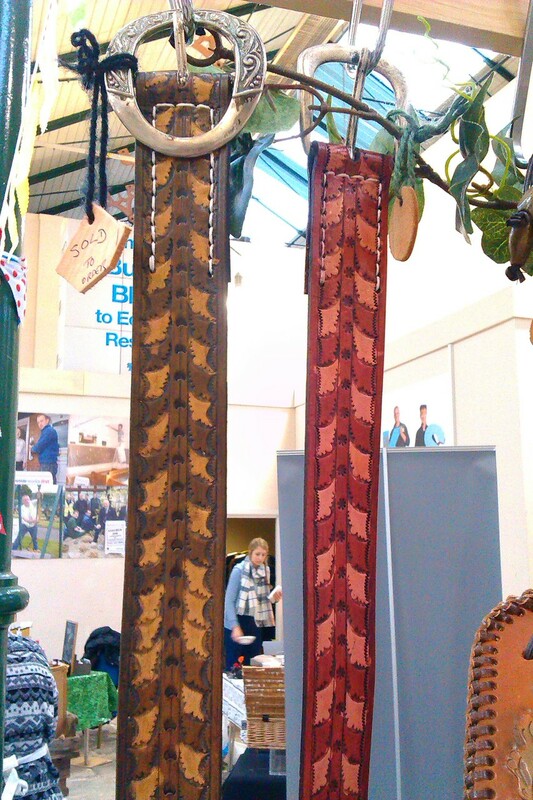 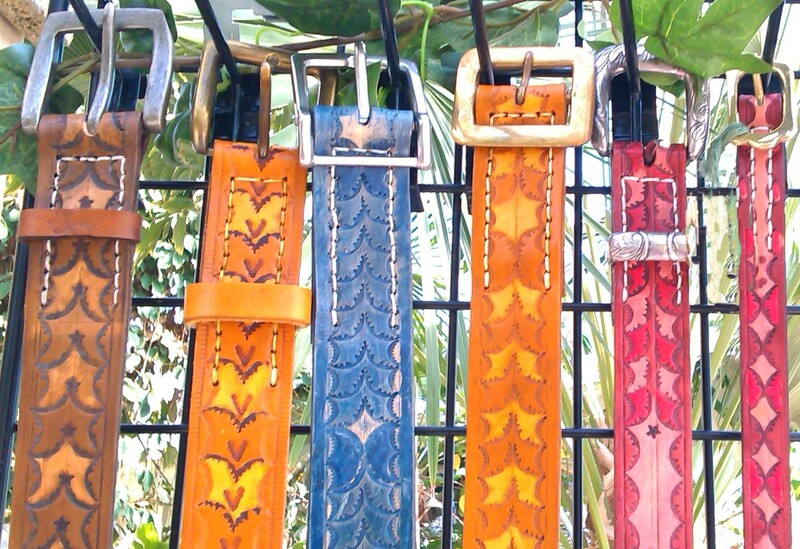 The belts are then individually coloured & dyed then the buckles hand sewn. 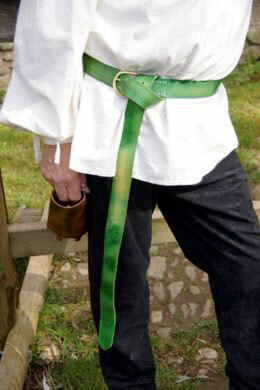 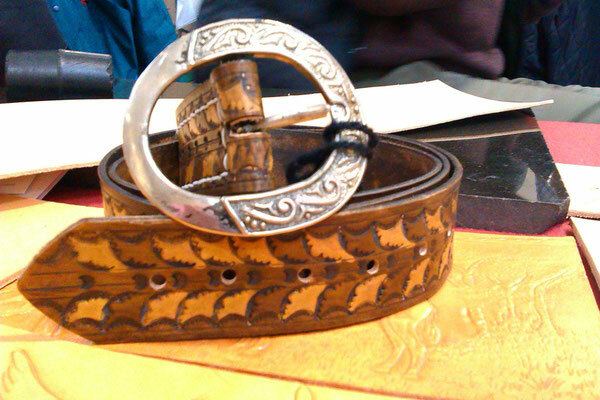 Medieval long belt designed to be worn knotted with a buckle or just a ring - the longer the belt the posher you were! 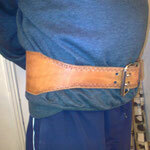 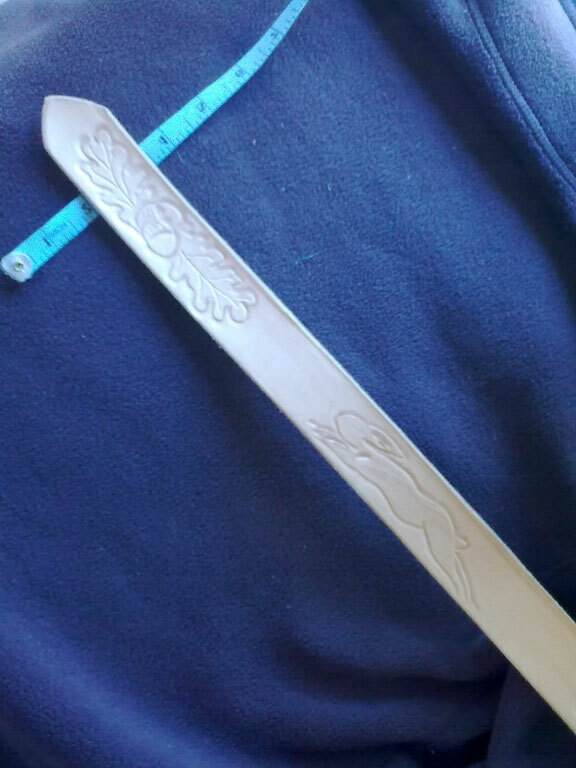 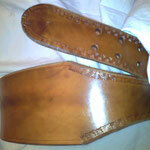 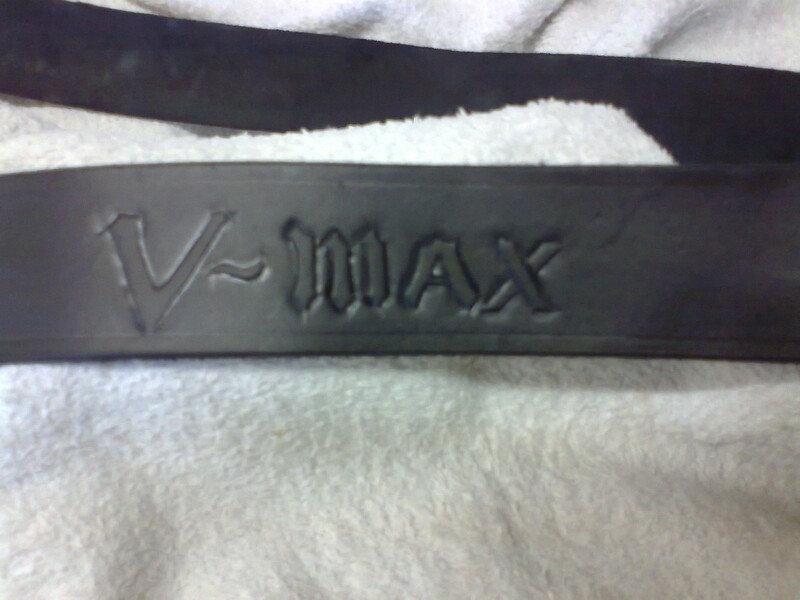 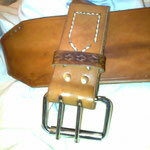 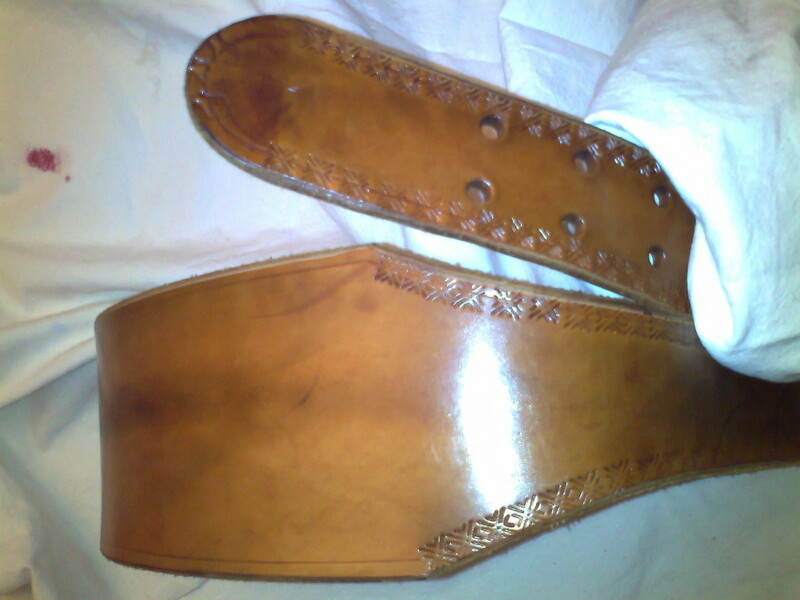 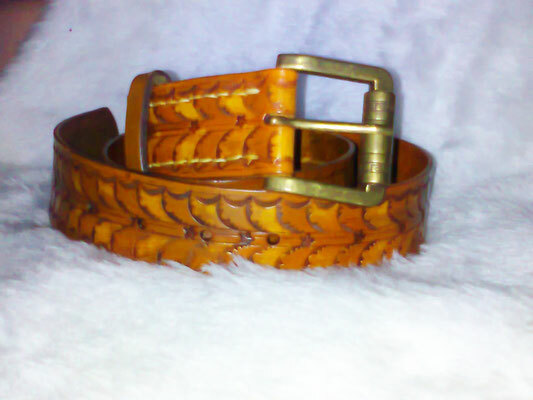 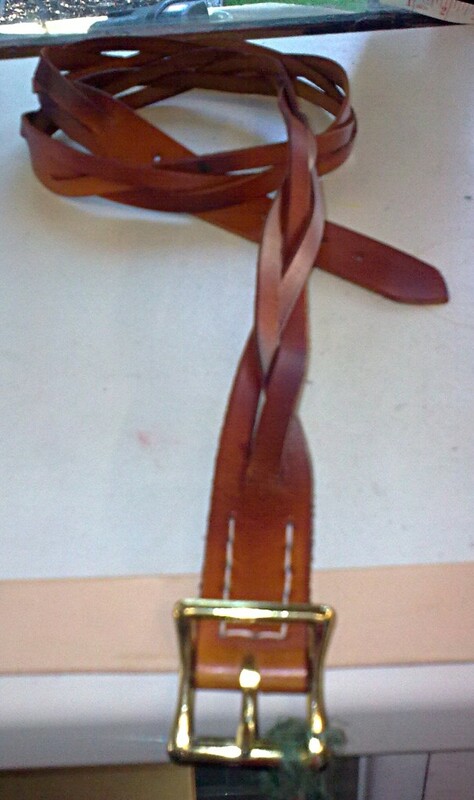 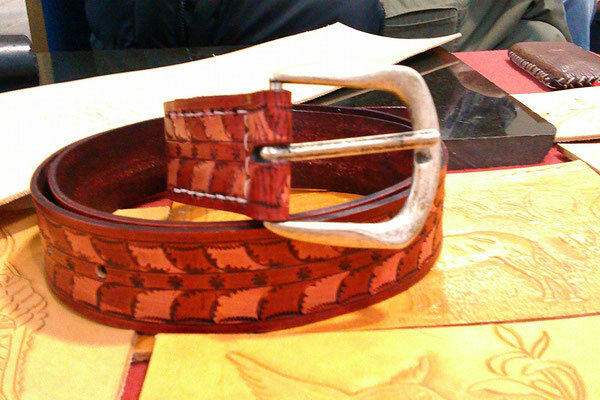 Custom hand made 1 & 1/2" wide belt, made & carved to order.